So it looks like there are new Peeps in town, i'm guessing to gear towards the warmer weather? I haven't seen these previously, so this is just my guess. The Sweet lemonade ones were a white marshmallow with a sugar coating as usual with lemon candy crystals sprinkled all over. 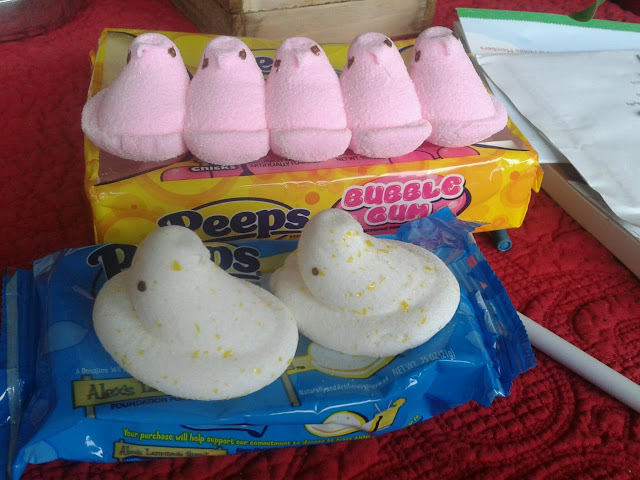 The Bubblegum ones were just a straight pink marshmallow with a pink sugar coating. 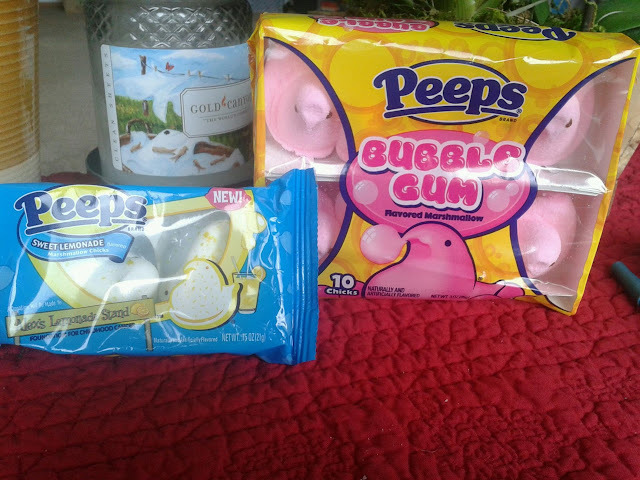 I actually really liked the Sweet Lemonade ones. It wasn't overly sweet as Peeps usually are and the lemon crystals were actually nice and tangy/sour like real lemonade and went well wih the marshmallow I think. The Bubblegum one was just too much for me. Too much in the sense where you open it up, it smells like a Double Bubble gum. The pink is the same as that gum. And it tasted straight up like Double Bubble, minus the fact that you couldnt keep chewing it like a gum but had to eat it since it was a marshmallow. It was just too much bubble gum flavor going on for me and I could only eat one. 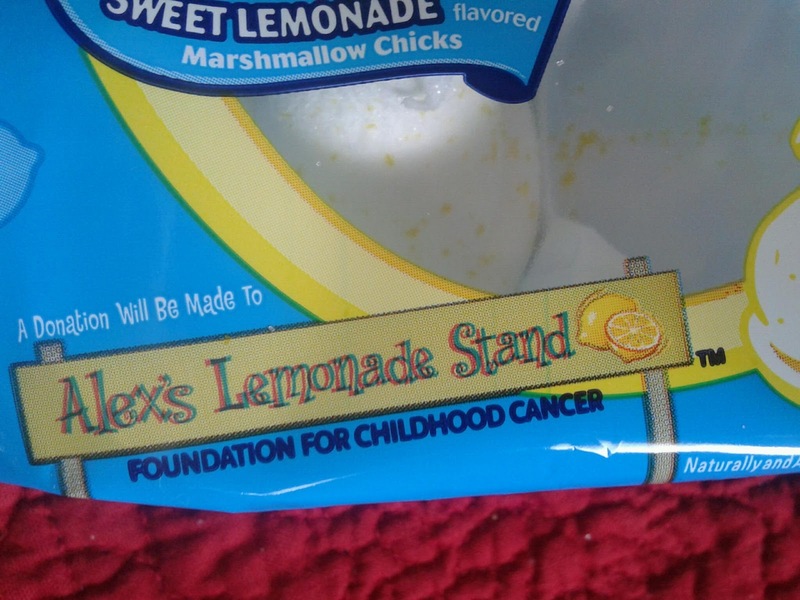 Another note about the Sweet Lemonade chicks were that with every purchase, a donation is made to the Alex Lemonade Stand Foundation for Childhood Cancer, which is awesome and definitely something I support. And they actually taste good too.